You could walk around Venice for hours on end and still be none the wiser as to whether the restaurant you’ve just walked past is any good or not. It’s not a criticism – it’s typical of any city filled with tourists. The large majority of restaurants here serve the standard fare of pizza, pasta and everything else you would expect from an Italian restaurant. After a whirlwind 48 hours culminating in my two brothers and I providing an epic surprise for my step dad’s birthday, we were keen to celebrate everyone being reunited in fashion. Thankfully in the build up to the trip Judith and I had been discussing everything from surprises, secrets and scran (never written that piece of slang before, didn’t feel right at all but it rolled off the tongue so I’ll go with it) and she’d booked Antiche Carampane for dinner the first night we were all together. 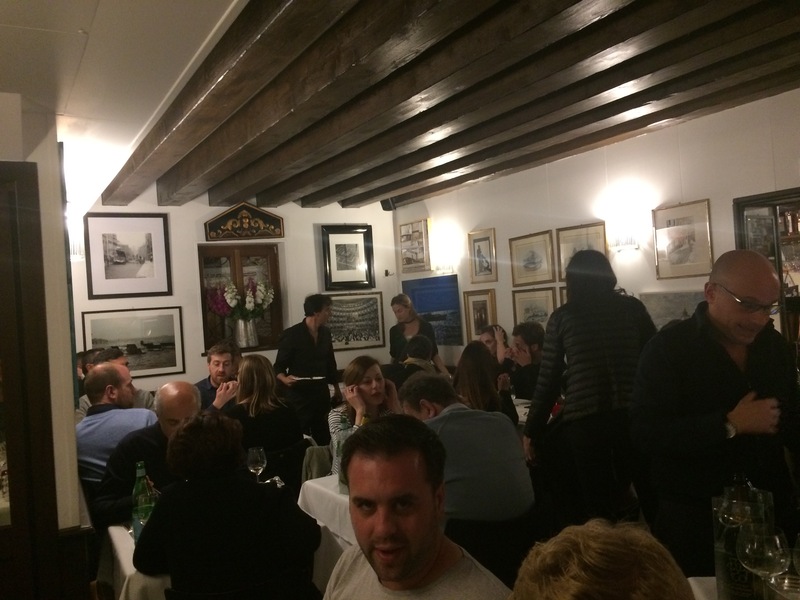 According to Judith’s ‘Secret Venice’ guidebook, this restaurant is one of the best restaurants in the city. Either that or one of the best kept secrets. Don’t ask me; I didn’t read the book. Anyway, the restaurant itself seems to think it’s pretty good, as it has the rather confident slogan of “You don’t arrive here by chance…”. Considering the fact that almost every street in Venice looks the same and it’s very easy to get lost, I’d say quite a few people have probably arrived there by chance over the years, but I don’t have enough hairs to split so let’s move on. Seems we weren’t the only ones who’d heard about this place! The restaurant itself doesn’t come across as anything special from the outside. It’s really quite unassuming and similarly inside it’s quite a cozy affair. However it seemed we weren’t the only ones who’d taken the advice of the guidebook as the place was absolutely rammed. Just for a bit of context: I left Tokyo at 1am on Friday morning (Thursday night European time), arrived around midday in Venice and very quickly got on the beers with my two brothers on Friday afternoon. We called it a night around 9pm and I was asleep an hour later. Now I had probably been tempting fate for quite some time as I often brag that I don’t suffer from jetlag; imagine my shock when I was wide awake at 3am on Saturday morning! My brothers and I had arranged for our surprise to take place at 11am in Venice, and after many a tear was shed (maybe a little exaggeration) we quickly dropped our bags at the apartment and, once again, got on the beers. You know a place is a bit special when the menu looks this plain! Now bear in mind that I’m a skinhead, and quite a fair skinned one at that. Take that into account, add it to the fact that I’d been travelling for the best part of 48 hours with a seven-hour time difference, and throw in the drinks for good measure. Can you picture the state I was in by the time we were seated at 9.30pm on Saturday night? 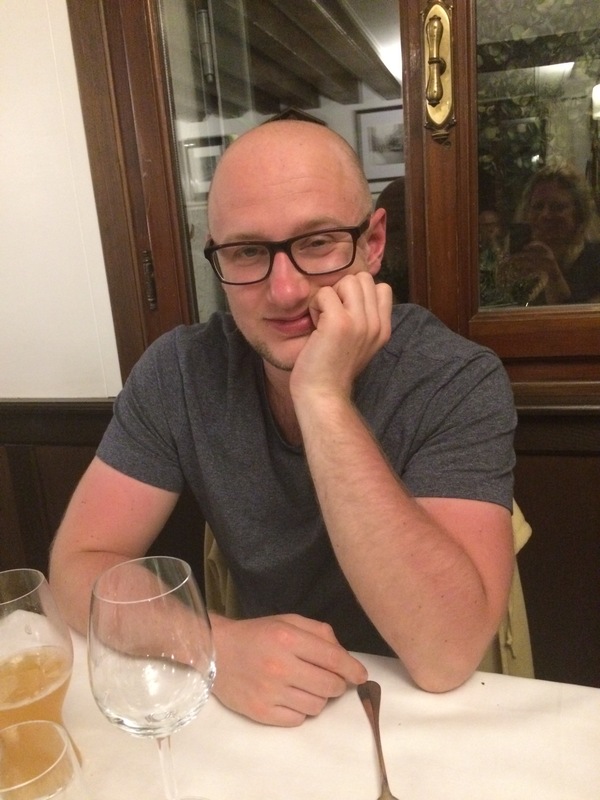 Ever wondered what a broken man looks like? Safe to say I wasn’t feeling tip top but we were in Venice for a good time and not a long time so I powered through like an absolute trooper. 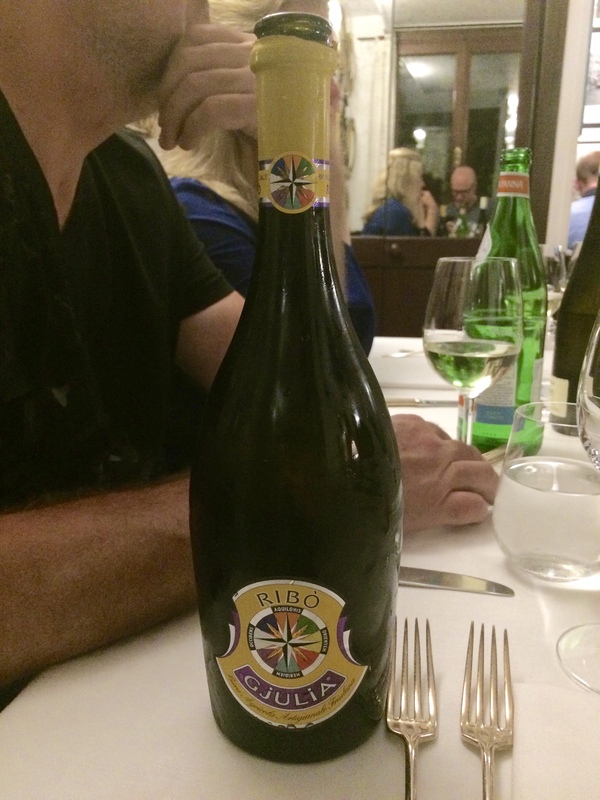 The delicious local Ribo Gjulia beer may have played a part too. Despite being served in what looked like a champagne bottle (cork to boot! ), this was very much a beer. From what I remember it had a fruity taste and was quite reminiscent of an IPA, but then again I was half asleep and could probably have mixed up Carling and Bollinger given the opportunity. Yes, that is beer! Bloody good beer, at that. Now I may have been shattered but all that walking around in the sun and drinking meant I’d built up quite an appetite. 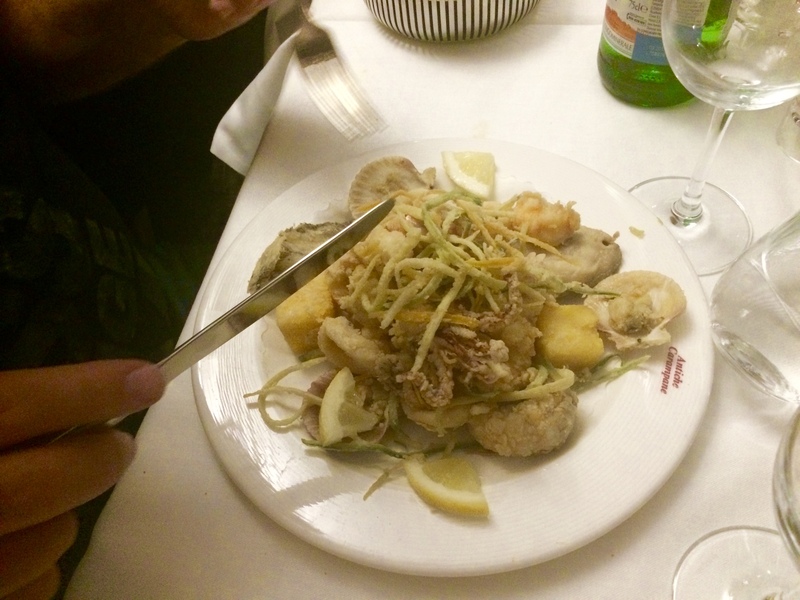 After a shared starter of mussels and clams, with a mixed plate of appetisers too, the main courses came and from where I was sitting there were no disappointments. Now I love Japanese food, and I have a real love of sushi and sashimi but I was very quickly reminded here that you just can’t beat a good cooked piece of fish. A bit of *cooked* fish for a change! 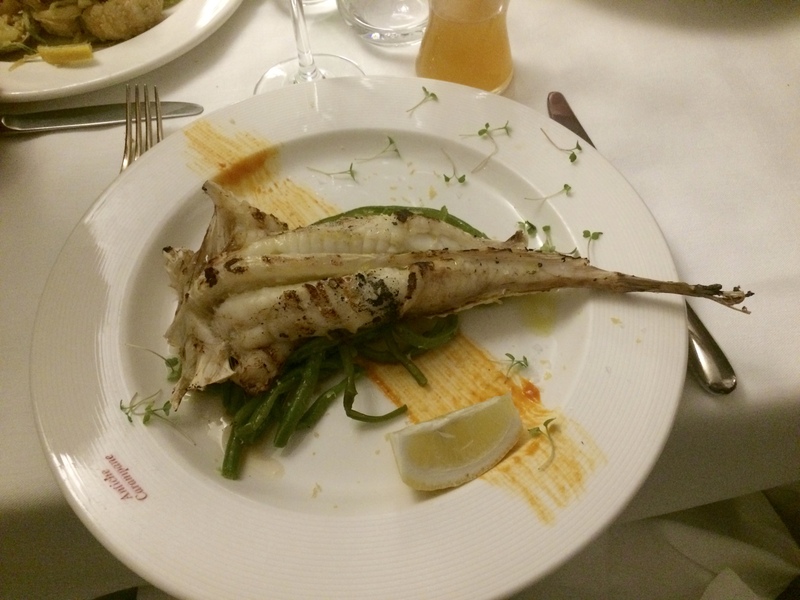 I opted for the ‘grilled fish of the day’ which was monkfish – something I hadn’t indulged in for years. As you can see from the picture above, this was one of those fancy restaurants where you don’t get anything more than the main foodstuff and a smear of a random unidentified sauce on the plate with a few greens. That may sound like a complaint but it isn’t, I promise! I can’t remember the specifics of every other person at the table but I do remember my brother Chris having a pasta dish and Fred going for a fried fish plate. As I said before, no complaints at all but then again even if there were I wouldn’t have remembered them. 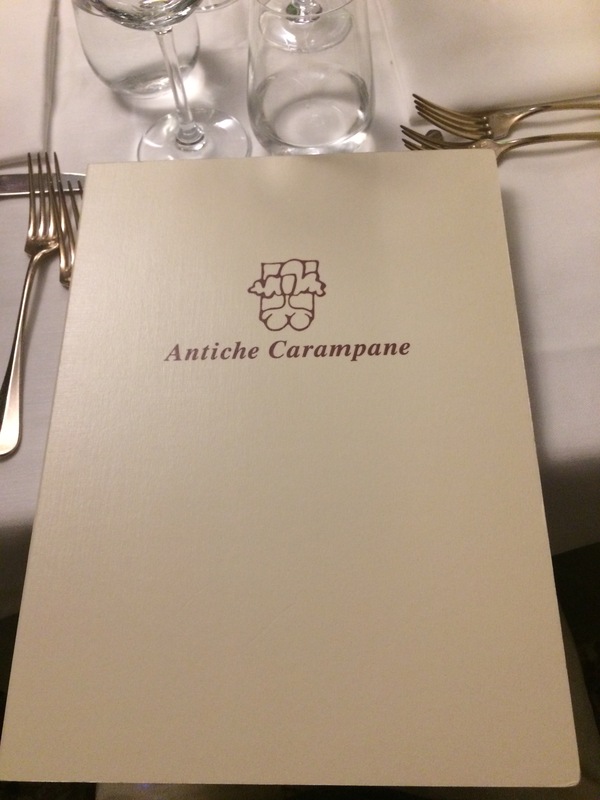 The bill came to around €250 for five mains, a couple of starters plus a fair few drinks which – for one of the ‘best’ restaurants in town – didn’t seem too bad. Then again, you’re talking to the man who lives off ¥100 sushi so I’m probably not the man to ask when it comes to deciding what’s good value and what isn’t! Having actually fallen asleep at the table at one point it was decided that it was probably time to call it a night and try and drunkenly/deliriously navigate our way through the identical backstreets of Venice looking for our apartment. There was plenty and twisting and turning as we ended up walking the wrong way for quite a while before eventually finding our way onto San Marco’s Square. Bed never felt so good.